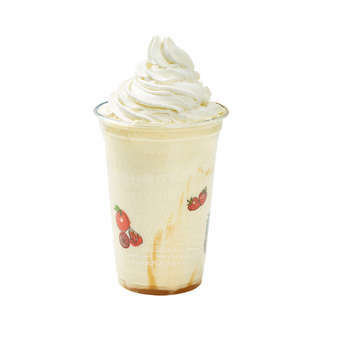 Hesburger's Caramel White Chocolate Cookie Deli shake is made with Finnish soft-serve ice cream and milk. The secret to its delicious flavour is the absolutely wonderful white chocolate cookie and Hesuburger caramel sauce topped off with a generous dollop of whipped cream. Sheer decadence!